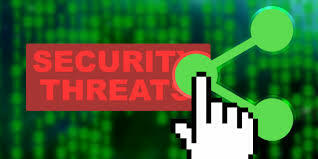 Introduction to Security recent information security attacks. Research two recent information security attacks. Find security attacks that are not covered in the chapter and provide a summary of the incidents, e.g. any steps taken to avoid this in the future. Research two of the types of attackers covered in this chapter. the prevalence of this type of attacker with a recent example. This assignment consists of two (2) sections: an infrastructure document and a revised project plan. You must submit both sections as separate files for the completion of this assignment. Label each file name according to the section of the assignment it is written for. Additionally, you may create and / or assume all necessary assumptions needed for the completion of this assignment. With the parameters set forth at the onset of the project, present the infrastructure and security policy that will support the expected development and growth of the organization. The network solution that is chosen should support the conceived information system and allow for scalability. 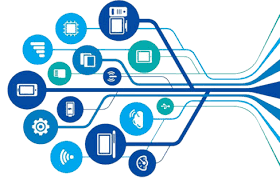 The network infrastructure will support organizational operations; therefore, a pictorial view of workstations, servers, routers, bridges, gateways, and access points should be used. Since the company will be merging with a multinational company, virtualization and cloud technology should be taken into consideration. In addition, access paths for Internet access should be depicted. A narrative should be included to explain all the nodes of the network and the rationale for the design. Lastly, using the Confidentiality, Integrity and Availability (CIA) Triangle, define the organizational security policy. Identify possible network infrastructure vulnerabilities. Address network vulnerabilities with the appropriate security measures. Ensure that consideration is given to virtualization and cloud technology. Design a logical and physical topographical layout of the planned network through the use of graphical tools in Microsoft Word or Visio, or an open source alternative such as Dia. Explain the rationale for the logical and physical topographical layout of the planned network. Illustrate the possible placement of servers, including access paths to the Internet and firewalls. Note: facility limitations, workstations, printers, routers, switches, bridges, and access points should be considered in the illustration. Protect the company infrastructure and assets by applying the principals of CIA. Note: CIA is a widely used benchmark for evaluation of information systems security, focusing on the three (3) core goals of confidentiality, integrity, and availability of information. with one-inch margins on all sides; citations and references must follow APA or school-specific format. The cover page and the reference page are not included in the required assignment page length. Include charts or diagrams created in MS Visio or Dia as an appendix of the infrastructure document. All references to these diagrams must be included in the body of the infrastructure document. Update the project plan (summary and detail) template, from Project Deliverable 4: Cloud Technology and Virtualization, with three to five (3-5) new project tasks each consisting of five to ten (5-10) sub tasks. Using the Waldorf Online Library, find two articles on information systems best practices. The Academic Search Complete database will provide you with excellent articles on this concept. Discuss some of the key issues to be aware of and the best practices to mitigate them. Discuss strategic analysis decisions in the next five years, what we need to watch out for in the information technology (IT) field, and how these decisions will impact the overall company. Examine potential changes in IT related to innovation and organizational processes. List and describe internal (online) information security risks and mitigation tactics and how they will affect decision making strategies. 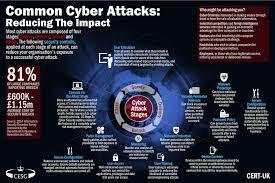 List and describe external (building) information security risks and mitigation tactics and how they will affect decision making strategies. Your scholarly activity submission must be at least three pages in length. You are required to use at least one outside source to support your explanation. All sources used must be referenced; paraphrased and quoted material must have accompanying citations and be cited per APA guidelines. 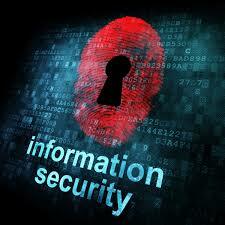 Submit a research paper based on Security Threats & Vulnerabilities Idea Paper. The final paper should be at least 5 pages not including cover page and references. Clearly define the problem or issue. Starts out broad and becomes more and more specific. Present the relevant literature and ideas. Identify relations, contradictions, gaps, and inconsistencies in the literature. Possible solutions to any problem(s) identified.